Lung cancer has been the subject of intensive research in the last decade resulting in the translation of basic scientific findings in clinical practice. Several molecular alterations have been defined as “driver mutations” in non-small cell lung cancer (NSCLC) providing novel targets for lung cancer treatment. This requires, besides a close interaction between researchers, clinicians, and pathologists, the implementation of high-quality molecular diagnostics. Two personalized therapy approaches are currently approved by the US and European drug administration agencies. The first is treatment of epidermal growth factor receptor (EGFR) and v-raf murine sarcoma viral oncogene homolog B1 (BRAF) mutant NSCLC with EGFR-directed tyrosine kinase inhibitors or a combination of BRAF- and MEK-directed inhibitors, respectively. The second is targeting NSCLC tumors with rearrangements of the anaplastic lymphoma kinase (ALK) or v-ros avian UR2 sarcoma virus oncogene homolog 1 (ROS1) oncogene with the inhibitor crizotinib. A major issue of targeted treatment of lung tumors is the persistent development of resistance. The underlying mechanisms of resistance are currently an important subject of research. The clinical relevance of other alterations such as mutations and gene amplifications of KRAS, ERBB2, and MET and chromosomal translocations of RET and NTRK is currently under investigation in clinical trials. In this context, methods for the detection of these alterations are outlined in this chapter taking into account the suboptimal quality and quantity of DNA from formalin-fixed, paraffin-embedded (FFPE) tissue. Clinical Trails. A study of prexasertib (LY2606368) in combination with ralimetinib in participants with advanced or metastatic cancer [Internet] 2017 Mar 17 [cited 2017 Jun 22]. Available from: https://clinicaltrials.gov/ct2/show/NCT02860780. Clinical Trails. Clinical study of oral cMET inhibitor INC280 in adult patients with EGFR wild-type advanced non-small cell lung cancer [Internet] 2017 Mar 29 [cited 2017 Jun 22]. Available from: https://clinicaltrials.gov/ct2/show/NCT02414139. Khokhar SK, Mitui M, Leos NK, Rogers BB, Park JY. Evaluation of Maxwell(R) 16 for automated DNA extraction from whole blood and formalin-fixed paraffin embedded (FFPE) tissue. Clin Chem Lab Med. 2012;50 https://doi.org/10.1515/cclm.2011.763. Ney JT, Froehner S, Roesler A, Buettner R, Merkelbach-Bruse S. High-resolution melting analysis as a sensitive prescreening diagnostic tool to detect KRAS, BRAF, PIK3CA, and AKT1 mutations in formalin-fixed, paraffin-embedded tissues. Arch Pathol Lab Med. 2012;136(9):983–92. https://doi.org/10.5858/arpa.2011-0176-OA. Koitzsch U, Heydt C, Attig H, Immerschitt I, Merkelbach-Bruse S, Fammartino A, RH Buttner Y, Kong MO. 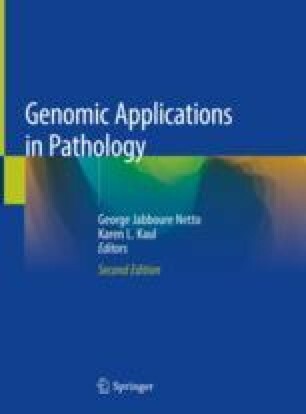 Use of the GeneReader NGS System in a clinical pathology laboratory: a comparative study. J Clin Pathol. 2017; https://doi.org/10.1136/jclinpath-2017-204342.